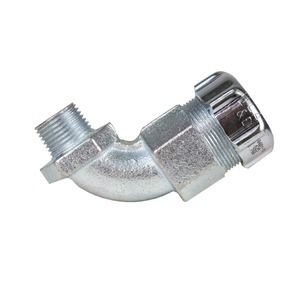 90 degres watertight fitting made of malleable iron with a protective grounding sleeve for jacketed metal-clad cable. 1 inch hub thread size. Neoprene bushing 1.187-1.375 inches.